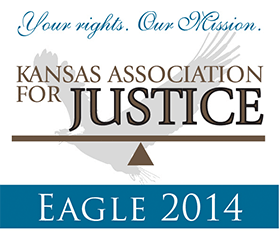 Negligent drivers are a serious and deadly threat to all drivers on Kansas roads. Drivers that operate their vehicles in a negligent manner are particularly hazardous to motorcyclists. In the state of Kansas, motorcycle accidents involving another vehicle are the most common type of motorcycle related accidents. In most of these auto-motorcycle accidents, the driver of the car or truck caused the accident by violating the motorcyclist’s right-of-way. 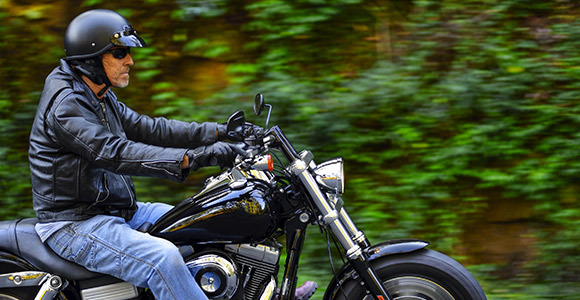 Motorcycle accidents often result in significant injuries due to the lack of protection surrounding the motorcyclist. The injuries received in motorcycle accidents are often catastrophic such as amputation, head trauma, paralysis and even tragic death. If you or a loved one was injured in a motorcycle accident and need help fighting the insurance company to settle your claim for expenses such as: medical bills, lost wages, rehabilitation, and other life-changing damages, you should call the Brave Law Firm, LLC today. Stephen Brave is an experienced Kansas motorcycle accident attorney who has helped motorcycle accident victims and their families recover financial compensation for their injuries and losses. It is vital that you do not delay. If you or a loved one has been involved in a motorcycle accident and sustained injuries, you need help and legal representation to protect your right to fair compensation. In times like these, you need someone with experience to help you get back on your feet. You need an attorney that is ready to fight to get you the benefits that you deserve. You need an attorney that will go to bat for you and obtain the compensation you deserve for your pain and suffering. You need an attorney that listens to you and places your needs first. Stephen L. Brave, is an experienced Kansas motorcycle accident attorney ready to assist personal injury victims throughout Kansas. No matter where you are located in Kansas, the Brave Law Firm, LLC is just a phone call away, and we will even come to you. Call us 24 hours a day/7 days a week for your Free Consultation at 1-855-BE-BRAVE (1-855-232-7283).